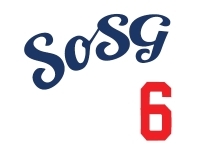 Sons of Steve Garvey: First Place, Baby! 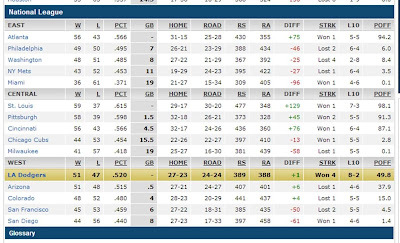 That run differential has room for improvement. SF -50 looks good, though. So, no relatives at all. Slight difference between our run differential and the Cards'. How bad was our run differential when we were 9.5 back? Moving on up! My house is relatives-free on Xmas and Thanksgiving. However, all Sons are welcome any time.